The newly-signed NRG player has taken the game by storm. Counter-Strike: Global Offensive pro turned Apex Legends god: Coby “dizzy” Meadows has staked his claim over the newest battle royale title through his sheer dominance in the Twitch Rivals Apex Legends Challenge. 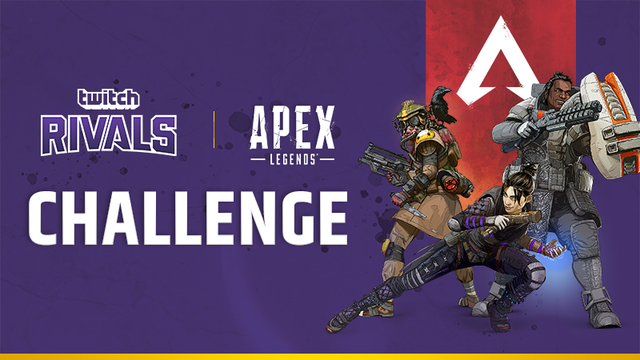 Dizzy teamed up with popular Twitch streamers Richard “KingRichard” Nelson and Tyler “Ninja” Blevins to take on the first Apex tournament on Feb. 12. The team, Kings Canyon, secured the win in the tournament’s first day with 420 points, pulling ahead of the competition by a single point. Dizzy held the highest number of kills for the majority of the tournament, although his final kill score is unclear. The NRG pro formerly played for Mythic and Selfless Gaming in the CS:GO scene before switching over to Apex. Dizzy recently signed with his new team a week after the latest battle royale released and is already setting records under the NRG banners. The professional Apex player holds the world record for solo kills in the newest battle royale, having amassed 33 total kills in a single game. With only 60 people dropping into a map in each match, that means dizzy killed over half of the competition in his game. The Twitch Rivals tournament boasts a $200,000 prize pool with 48 of the biggest names on the streaming platform. The tournament is split between two regions, North America and Europe, and determines winners based on accumulated points. A kill grants a team one point, while winning a match yields five points. The first day of the tournament has concluded, but viewers can follow the action on the Twitch Rivals channel when the tournament resumes on Feb. 19.